Snows Motor Group is a family-owned, car dealer group that has over 50 years’ worth of experience in the industry. The company operates across south and southwestern England with several specialist used car outlets and over 30 franchised dealerships. In addition to the sale of new and used cars, Snows Motor Group also sells vans. Other services offered by Snows Motor Group dealerships include car finance, servicing and business and fleet leasing. On top of this, the group supports the nationwide Mobility scheme which works to benefit disabled drivers looking to purchase a vehicle. Founder Geoff Snow, then aged 29, formed the group in 1962. Mr Snow led Snows Motor Group until he retired in 2007, when his son, Stephen, went on to become chairman. In 2017, a manager of a company branch was awarded the prestigious title of ‘Sales Manager of the Year’ at the Motor Trader Awards. 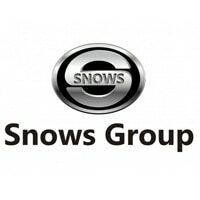 At Snows Motor Group, customers can discover new and used models from the company’s key franchises – BMW, Citroen, DS, Fiat, Kia, Lexus, Lotus, MINI, Peugeot, SEAT, Suzuki, Toyota, Volvo and Volkswagen. The business sells used cars from other marques, such as Audi, Hyundai, Mercedes-Benz, Nissan, Renault and Porsche, too. Take your pick from prestige vehicles, like the sleek BMW i8, high-performance sports cars like the Lotus 3-Eleven (with both Race and Road options), and luxury models like the Lexus GS at Snows Motor Group dealerships. Whether you’re after a compact, hatchback, convertible or a van, the business has a wide range of vehicles for a variety of needs. Please enter your name and email address below to contact the seller.